Every year, regional partners for clean water and a healthy environment host a community hazardous waste collection day, known as Clean Sweep. 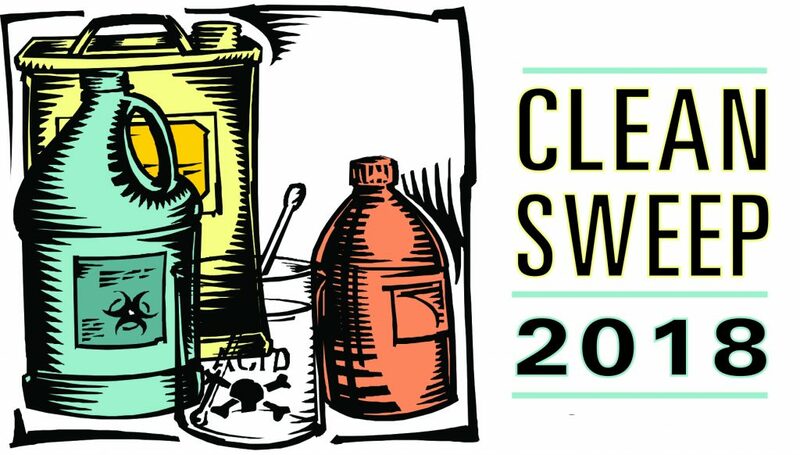 Now in its 22nd year, Clean Sweep provides a safe disposal venue by collecting chemicals and other materials which pose a threat to public health, water and environment. Download the CLEAN SWEEP 2018 Flyer and this Tip Sheet for more details. Clean Sweep is free to farmers in the eight watershed counties and free to all Delaware County household residents. Delaware County businesses, municipalities and county agencies are also invited to properly dispose of waste materials. Disposal services for businesses and municipalities are provided “at cost” with a cost estimate based on your itemized disposal list. Businesses & Municipalities: Friday, October 19th from 10 a.m. to 11:45 a.m. Farmers: Friday, October 19th from 12 noon to 1:30 p.m. Residents: Saturday, October 20th from 8 a.m. to 11:30 a.m.